The growth was slowing down for Hawaii Five-0 and Blue Bloods at the end of last season, and it got even worse for the shows out of the box in fall 2017 as they could not maintain the league average-ish pace from a year ago. And MacGyver fell pretty hard from the autumn of its first season, when it opened with a 1.7. MacGyver was the only show of the three to pull of any significant winter bounce, but Five-0 and Blue Bloods still drew a little closer to last year's pace (because they didn't bounce last winter either). Undercover Boss got a later start this year, so Mac qualified as the most frequent occupant in the spring. All three shows fell a good bit late in the season, but that is nothing new for this lineup. 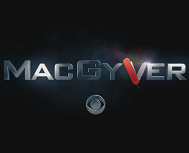 MacGyver: It was compared against the inflated early part of season one, and did have to air a few weeks later, but it was still kind of a "meh" second season for Mac. I actually don't think it was really any stronger than the cancelled Scorpion, but maybe its syndication prospects are stronger due to the brand name. Grade: C+. Hawaii Five-0: This night reminds me a lot of The Flash last year in that I thought before the season that Five-0 and Blue Bloods could make a real run at the league average, but they ended up not really getting that close. Still an awesome season by Friday standards, and still comfortably ahead of its first three Friday seasons, but a tad disappointing. Grade: B-. Blue Bloods: And the 10/9c institution took an even harder hit. Unlike Five-0, Blue Bloods actually fell behind not just last season but also the previous season in Plus. Grade: C.
Here's the now updated Schedules Plus for CBS Friday.